Head injuries are quite common especially in workplaces like construction sites. As a matter of fact, there are over 120,000 cases of disabling head injuries that are recorded every year based on Radford University. Most head injuries come from falling entities so OSHA made it a requirement that all employees should wear an occupational head protection if there is a risk of heavy injury in their workplace. Severe or not, a head injury isn’t something that you should take lightly so this is where the importance of hard hats come in. Hard hats are specially designed to protect your head from falling objects so check out our reviews for the best hard hats. 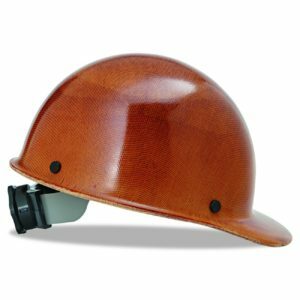 Carefully designed to offer an exceptional protection, the MSA 475407 Natural Tan Skullgard Hard Hat is ideal for both hazardous and hot workplaces. This hard hat from Skullgard is widely known for setting the standard in the industry when it comes to uncomfortable environments like steel mills. All Skullgard helmets like MSA 475407 have been through a lot of tests and loads of heat up to 350 °F just to know how much it can take. MSA 475407 has a full brim style which made it perfect for keeping off the rain around your head and your neck. 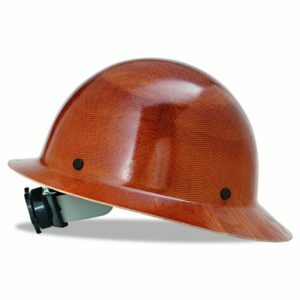 As a Type 1 hard hat, you can rely on its superior quality and awesome features. 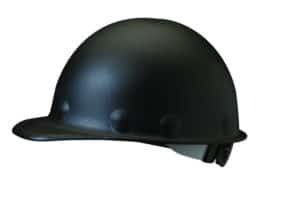 If you can’t get enough of Skullgard Protective Caps then MSA 475395 Skullgard Protective Hard Hat Front Brim might be perfect for you. 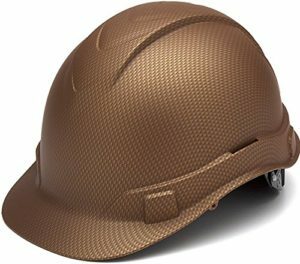 The same with MSA 475407 Natural Tan Skullgard Hard Hat, this hard hat from Skullgard is a quality winner since their only difference aside from their model is the brim. 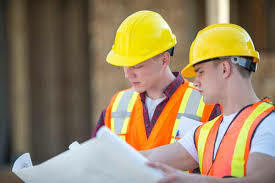 If you think that it is not necessary for you to get a hard hat that has a full brim then a hard hat with a front brim might fit your requirements. Just like other Skullgard helmets, MSA 475395 is tested to withstand radiant heat temperatures up to 350 °F. 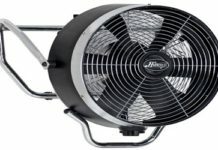 Thus, it is perfect for workplaces that require workers to be exposed to high temperatures. Are you a little conscious about your budget but has a keen eye when it comes to quality? In that case, you should check out this Pyramex Safety HP44118 Ridgeline Cap Style Hard Hat. Pyramex Safety HP44118 is currently one of the popular hard hats among customers that are on the low-budget side. 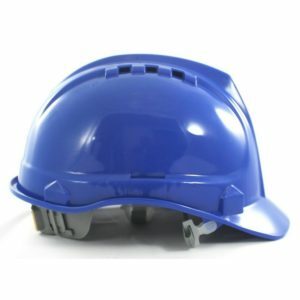 However, do not be discouraged by how other hard hats come in cheap and a piece of junk due to its cheap price because Pyramex Safety Caps are known for being durable but affordable. Compared to other brands for the same price, Pyramex Safety HP44118 can compete with bigger brands when it comes to quality. Also known as the Fibre-Metal Roughneck P2 Hard Hat, this model from Fibre-Metal is truly one of the best from their line of hard hat fiber glasses. Developed from a new compound of fiberglass, Fibre-Metal Roughneck P2 Hard Hat is designed to resist heat even if it is up to 370°F. Moreover, this hard hat from Fibre-Metal is lightweight despite its increased durability and capacity to resist heavy blows. Fibre-Metal Roughneck P2 is ideal for heavy-duty works so Fiber-Metal strives to continue producing models like this that guarantee a great performance, superiority, and security. This hard hat has a solid reputation that might suit you. Are you getting tired of your old hard hat that looks too plain? Well, don’t worry about that anymore because there is an easy solution for that since we now have Texas America Safety Company Sticker Bomb Hard Hat. 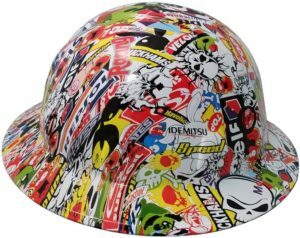 This modern and awesome looking hard hat is certainly one of the most brightly colored hard hats you will ever see in the market. 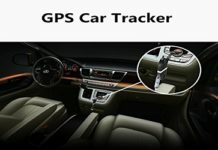 Moreover, it contains a cool design that can easily tell you how unique it is among its competitors. But when it comes to quality and performance, this hydro dipped hard hat made from carbon fiber won’t be listed to the last. Having a kind of work where you have to slice tress things with a monstrous chainsaw can be a little exciting and dangerous. If you don’t have the right face covering, you might end up having a scratched face or poked eye from flying debris. Not to mention the fact that your eardrums could be affected too by too much noise from the chainsaw. Thus, getting a Husqvarna ProForest Chain Saw Helmet is very important. This hard hat is not only designed for protecting your head from falling objects, but also your entire face and ears. If you’ll be operating a chainsaw, be sure to get this one first. 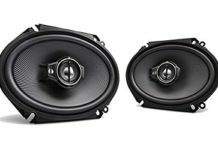 After being in the industry for many years, Amston Company has already made themselves known for providing high-quality products in the market. Because of their well-known reputation for creating products, Amston hard hats became a best-seller for professionals. 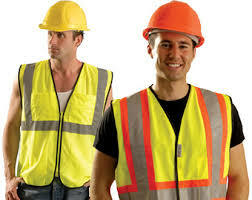 Amston Safety Hard Hat is very comfortable to wear even for the entire day and most importantly, very affordable. If you are currently on a tight budget but in great need of a reliable hard hat for work, this hard hat from Amston might work for you. Take note also that this is a hard hat is designed to be worn by professionals for long hours so it contains handy features. Protecting yourself from head injuries in your workplace is a major concern wherever you are. Thus, industries that pose risks to head injuries in their workplaces such as forestry, warehousing, and construction have required the use of hard hats in accordance with the requirements of OSHA. However, not all hard hats can guarantee to protect you against all types of hazards so it is important to choose the best hard hat in the market. Check out our buyer’s guide below to help you spot the best hard hats on the market today. Believe it or not, hard hats can protect and save lives in many ways depending on the hard hat’s design. But first, take note that the purpose of the hard hat’s outer shell is to repel heavy impacts and deflect any blow away from your head. Meanwhile, the purpose of its suspension system or the liner equipment inside is to absorb shock to protect your head. In addition, hard hats are also handy when it comes to protecting the worker’s face, shoulders, and neck from hazardous debris, and chemical spills in the workplace depending on the design of the hard hat. Hard hat’s designs vary depending on the kind of work where it is needed. Some designed for general construction sites, some are for electrical shocks, while others include accessories like goggles, face shields, and hoods for welding. You’ll never know when a hard hat might save your life, so it should be water-proof and fire-proof. Hard hats should be made to resist heavy impacts or absorb it. So, be sure to read the manual carefully when you buy the best hard hat to know how to use it properly. This means learning how to adjust its suspension system for the right fit and how to replace any part. Though it is normal for customers to choose a hard hat based on its brand, what’s more important is that the outer shell and suspension system can do their job perfectly. The suspension system should have a headband and strong straps to hold the outer shell 1 in. away from your head. This elevation provides additional protection and ventilation. As hard hats vary according to its design, hard hats also have different styles. For instance, if your work requires you to spend a lot of time exposed to the sun, getting a hard hat with a larger brim is ideal. But if you want to work peacefully in spite of the harsh noise in your surroundings, you might want to get a hard hat with a hearing protection. When you choose a style, always think of your needs first and the benefits you could enjoy for using it. The color doesn’t really matter as long as the hard hat you want is made according to the requirements of OSHA. Wearing a hard hat means you’re in a dangerous workplace so it is your responsibility to get the right hard hat wear it at all times in the area. Hard hats should be worn at all times while you’re in the area of your workplace where there are risks of head injuries. Whether it is against falling boards, rocks, tools, and other equipment, your hard hat must be able to withstand these things to protect your head. 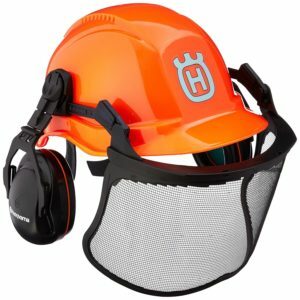 There are also other special hard hats with added accessories like reflective stripe for night works, miners’ light accessories, visors, face shields, and earmuffs. Type 1: This is designed to protect the head against falling objects on top of the head. This type also features a full brim around the helmet. Type 2: This hard hat is designed to protect the head against falling objects from above and on the side of the head. This type doesn’t have a girding brim but it may have a short rim in front of the helmet just like a baseball cap. Class G: Formerly known as Class A, this type is for general use to lessen the impact of falling objects and the risk of being exposed to low-voltage electrical conductors. This type of hard hat can handle the impact and protect its user from electrical charge up to 2200 V.
Class E: Known as Class B before, this type of hard hat is best for workplaces with electrical hazards so it was also called an “electrical helmet”. 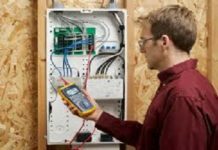 Though it can also reduce the impact of falling objects, it is designed to reduce the hazard when exposed to up to 20,000 V high-voltage electrical charge and risks from burning. Class C: This type of hard hat is also known as a “conductive helmet” because it can minimize the impact of falling objects and danger from exposure to electrical charge. If you want to ensure that your hard hat will be able to protect you when you need, you should know how to take care of it first. Be sure that the hard hat you’re interested in is well-protected from direct sunlight, paint, chemicals, and extreme temperatures. 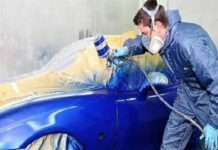 Take note that the solvent in the paint can damage the outer shell of a hard hat while the DIY holes for ventilation may weaken its capacity to resist heavy blows. All hard hats should be worn straight only not angled, nor backward. It should have a quality suspension system to be adjusted for proper fitting. Wearing a hard hat is a two-way responsibility. As an employee, it is your responsibility to protect your own well-being by wearing a hard hat within your workplace. Whether you need a hard hat to protect yourself from exposure to electric charge, falling from great height, or taking a falling object from above, your safety is a major concern. 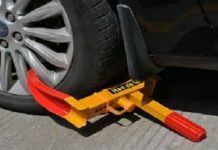 As an employer, it is your sole responsibility to ensure that your employees or workers adhere to the rules for safety measure at all times. If not, you will be putting yourself at risk against regulatory and civil liabilities. Whatever is the kind of industry you’re in, always know what’s best for you and stay safe.